Congratulations to all members and friends of the GRA! This year the United Arab Emirates Health Foundation Prize is awarded to Georgan Respiratory Association for an outstanding contribution to health development. A brief description of the work carried out by the GRA stated by the Executive Board of the WHO is given below. 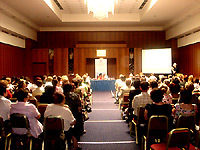 The Georgian Respiratory Association was established in 2004 with the aim of developing and promoting respiratory medicine in Georgia. Its main activities consist in promoting basic, epidemiological and clinical research in respiratory medicine; producing guidelines on the management of respiratory diseases; promoting continuing medical education for medical specialists and organizing scientific meetings and other events. Georgia to have created national guidelines and provided appropriate training processes. A significant achievement has been the continuing education of doctors in remote parts of the country, through the organization of regional congresses for different specialists, in collaboration with major institutions, research and scientific centers. This allows for the continuous exchange of the latest medical information. 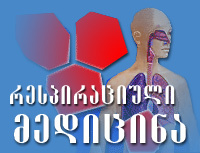 It also publishes the Georgian Respiratory Journal, the country’s only medical publication in respiratory medicine. Other achievements are the organization of its first international congress, which provided an opportunity to discuss modern methods of diagnosis and management of different respiratory diseases; the congress has received European accreditation. The Association has also prepared the first national guidelines for respiratory diseases, with appropriate training processes. It collaborates internationally and has begun pilot projects on surveillance of chronic respiratory diseases at primary health-care levels. to the Georgian Respiratory Association (GRA) website. We hope that members of the GRA, others working in respiratory medicine, and general visitors to the site will find useful and authoritative information. 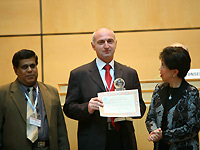 Georgian Respiratory Association is a national organization. It has been founded in 2004 by doctors interested in respiratory medicine. Development and promotion of respiratory medicine in Georgia. Produce scientific publications by the editing, printing, and publishing of reviews, journals, bulletins to promote, encourage or disseminate research or educational work in the field of respiratory medicine. 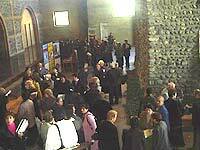 Collaborate with other national and international organizations having a similar objective or similar functions.